There are so many to think about and to wonder about what they do for us. Checking whether we are getting enough and how to know if we are deficient is very important. As a naturopathic doctor in Mississauga I want to help you make sure you’re getting all of the vitamins you need. Today we’ll be looking at the benefits of vitamin B3, and how to make sure you’re getting enough. Vitamin B3 is one of the eight vitamins in the B-complex, and is also called niacin. This vitamin has two main forms, nicotinic acid and niacinamide or nicotinamide. Vitamin B3 is water soluble, meaning it is not stored by the body, and excess B3 is excreted in urine. Let’s have a look at some of the benefits of vitamin B3, as there are many. A 2004 study in the Journal of the American Medical Association showed vitamin B3 to be useful in significantly lowering LDL (aka low-density lipoproteins or “bad”) cholesterol levels. Niacin is often used as a treatment for people with high cholesterol who can’t tolerate statins, and has been used in this way since the 1950s. 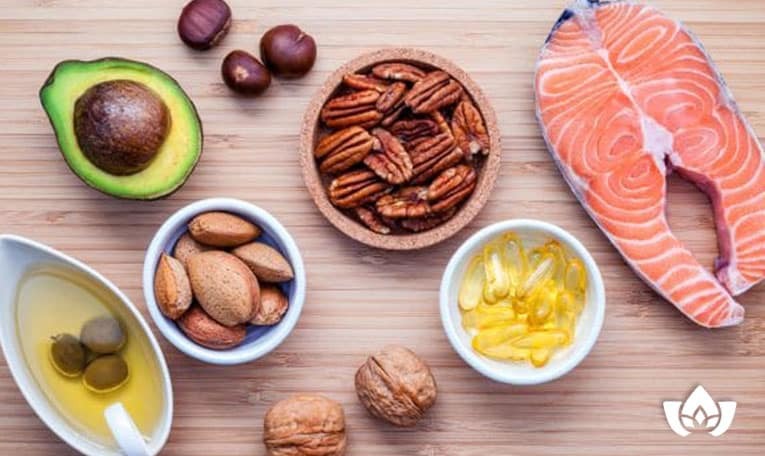 The same study from 2004 mentioned previously also showed niacin to raise HDL (aka high-density lipoproteins or “good”) cholesterol by 15 to 35 percent. It should be noted that using niacin as a treatment for cholesterol is only effective at high doses, and should only be done under the supervision of a health-care professional. Atherosclerosis is when plaque builds up in your arteries. Over time, plaque can build up and block blood flow to the heart. A 2008 study in the American Journal of Cardiology showed niacin can inhibit the mechanisms which cause atherosclerosis. A showed vitamin B3 to have protective effects against damage caused to the skin by UV radiation. In a double-blind study, the rate of new, non-melanoma skin cancers was 23% lower in the group that was given niacin than the group given placebo. A 2012 case report in the Shanghi Archives of Psychiatry describes a patient who was admitted to a hospital after being found naked in the street talking to himself. His condition deteriorated further, to the point where he suffered from severe diarrhea, fear and paranoia, and inability to answer questions. After attempting treatment with the antipsychotic perphenazine, his condition continued to deteriorate until the hospital determined he was suffering from pellagra, a type of niacin deficiency that manifests in what is known as the “3 D’s” – dementia, diarrhea, and dermatitis. After treating his niacin deficiency, he made a full recovery within a few months. Vitamin B3 has many more benefits, aside from what has been listed above. Vitamin B3 can be found in many foods, including chicken breast, tuna in oil, beef, smoked salmon, peanuts, and lentils. Vegetarians and vegans can also look to Portobello mushrooms, cooked potatoes, bran and wheat germ, instant oatmeal, soy burgers, and pumpkin seeds. 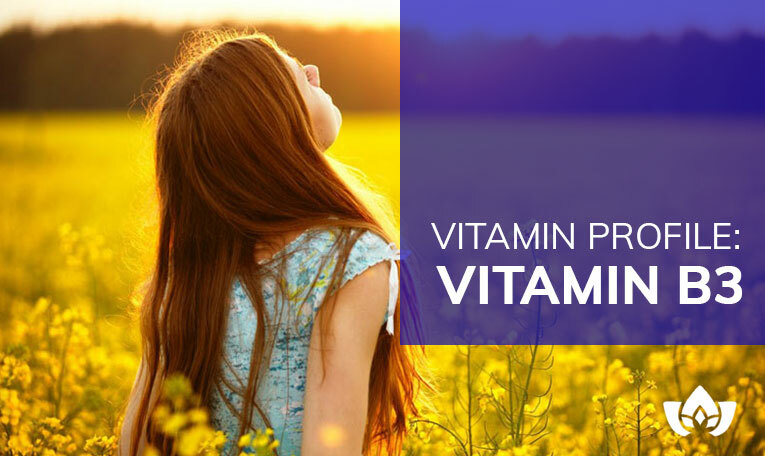 If the above listed benefits of vitamin B3 aren’t enough to convince you of the important role it plays in the body, the symptoms of niacin deficiency might convince you it is something which you don’t want to miss out on. B3 deficiency may result in memory loss, confusion, fatigue, depression, headache, diarrhea, and skin problems. However you can rest assured, as vitamin B3 deficiency is actually very rare in western countries. As mentioned above, vitamin B3 deficiency is quite rare in Canada, however there are other vitamins you may be missing out on. At the Mindful Healing clinic we can help you determine if you have any vitamin deficiencies, and work with you to create a plan to address them.